• E3 Live ™ FOR HORSES is the raw product, micro-filtered fresh water blue green algae, with the sea minerals added. It is the only fresh frozen algae that have been developed for horses, by horse professionals. 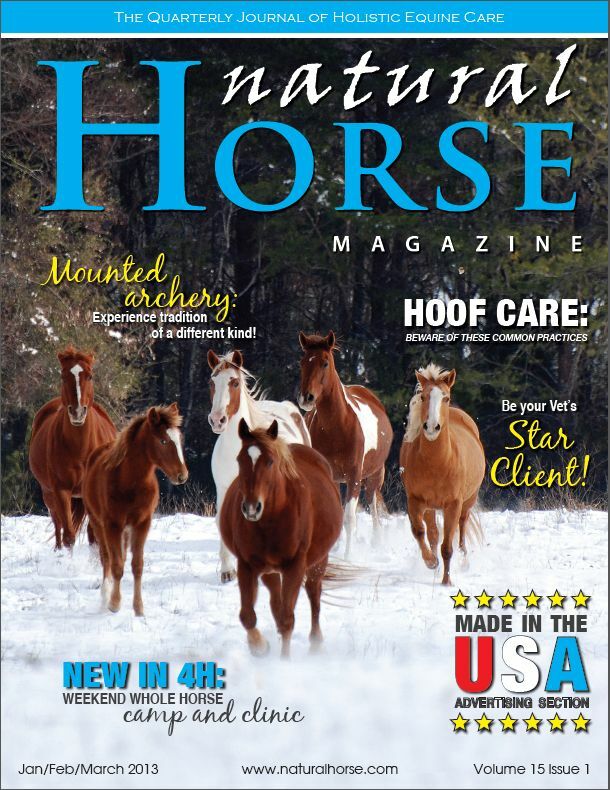 This product is available for those customers who value raw food for their horses, and we recommend that horse owners begin with this product anytime they are facing a challenge such as; White line disease, Laminitis, Shelly feet, or poor general health. It comes with a minimum order of six bottles. The horse care provider would defrost one bottle at a time and keep the others frozen until needed. 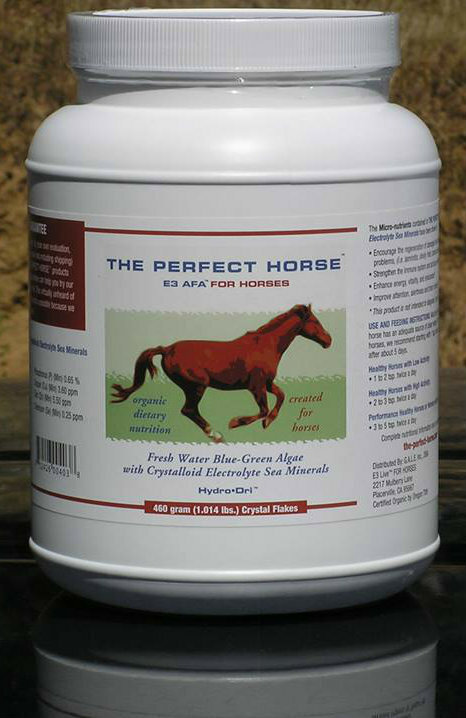 • E3 AFA™ FOR HORSES is the same micro-filtered fresh water blue green algae, with the sea minerals added. This product is hydro-dried to a light flake, a process which safeguards AFA’s nutrients, thereby presenting a form that, when a small amount of water is added, will stick to hay or pellets or most formulated feeds. A teaspoon serving, twice / day, is a recommended minimum feeding that is quite affordable when you consider it is 97% absorbed, unlike formulations that pass through much of the nutrients. 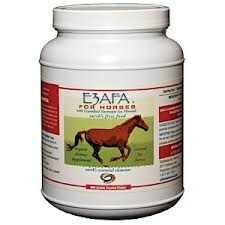 A pound of E3AFA™ FOR HORSES is the most economical way to buy, and will last a horse 9 months at minimum suggested feeding. It also comes in 150gm and 50gm sizes. What are Crystalloid Electrolyte Sea Minerals? why are they added? Crystalloid Electrolyte Sea Minerals will assist your horse in the assimilation of up to 97% of the rich nutrients available in the pure fresh water blue-green algae of The Perfect Horse™. To help in the absorption and digestion. The combination will allow your horse to assimilate the rich nutrients available in Aphanizomenonflos-aquae (Klamath Lake Blue-Green Algae), one of its most pure forms. There was a time when nutrient rich grasses were a staple throughout the earth and horses thrived because of it.Today, nothing could be farther from the truth. Depleted soil conditions are the norm, and commercially produced hays are rich in anything but nutrients. Nutrient deficiencies have become your horse’s worst enemy. any substance that dissociates into ions when melted or dissolved in a suitable medium and thus forms a conductor of electricity. various ions, such as sodium, potassium, or chloride, required by cells to regulate the electric charge and flow of water molecules across the cell membrane. Any substance that produces ions when dissolved is an electrolyte. Sea Minerals contain elements your horses are not receiving from the grassy fields they are grassing or from the hay you are feeding for which Sea minerals are greatly needed. Sea minerals helps to fight against cell degeneration. 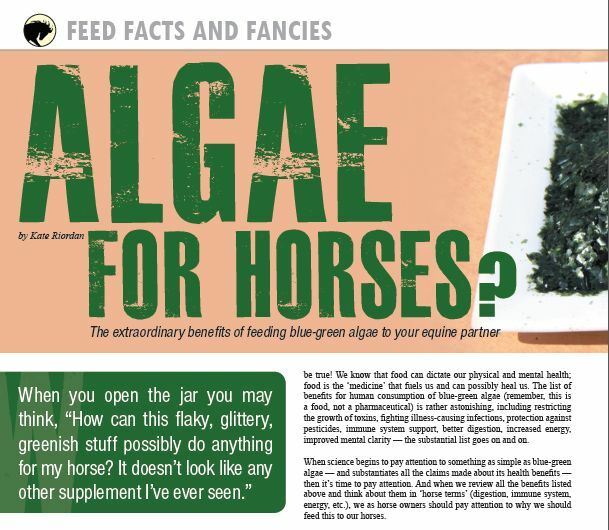 Read our Blog Post on Algae FOR HORSES? E3AFA FOR HORSES and E3Live FOR HORSES helps in the regeneration of damaged hoof tissues as they relate to hoof problems. 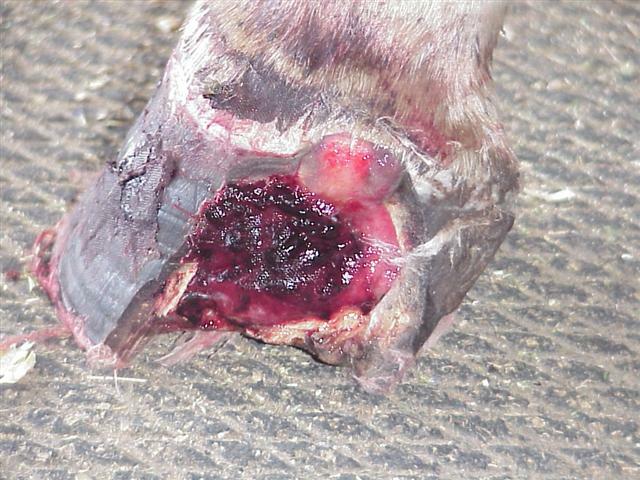 ie laminitis, cracks or white Line disease. 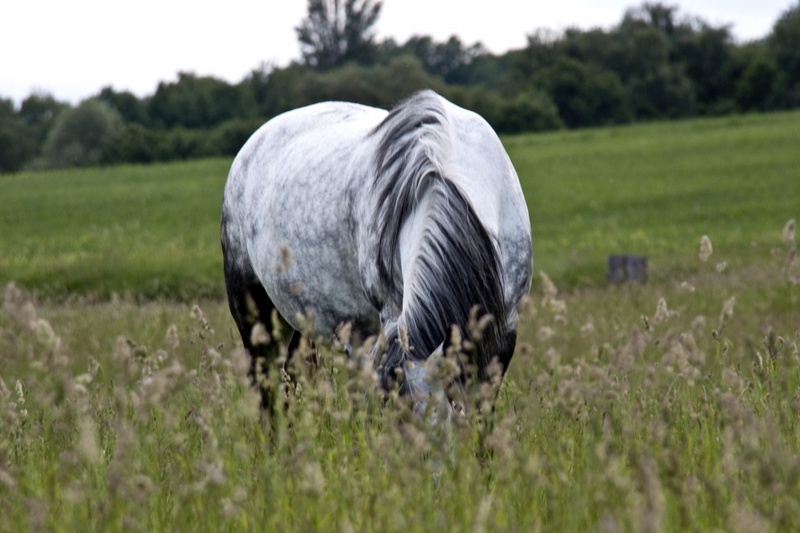 What Is - Blue-Green Algae Superfood for Horses? Crystalloid Electrolyte Sea Minerals are added...to assist your horse in the assimilation of up to 97% of the rich nutrients available in the pure fresh water blue-green algae of The Perfect Horse™. 460gm can last a healthy horse about 9 months that is less then a dollar a day! With a %100 money back Guarantee, you can't lose! Don't let White Line get this severe contact us right away. We received an email asking us about White Line Disease. Please advice on what you suggest for a severe case white line?? My 7 year old mare ha it constantly even tho I take extremely good care of her in all ways espcially her hooves.regular farrier visits , daily cleaning, Dumor farriers formula added to feed daily. Im at a lose on what to do Thank you in advance. Great question; and one for which we have a good answer.Our product has turned around white line problems for many of our customers. 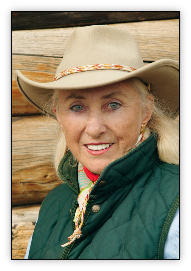 The most notable is the RFD TV Behaviorist Ryan Gingrich. Please review the You Tube video interview with Ryan, listed below. a loading regiment (1 tablespoon twice/day) of The Perfect Horse® (E3 AFA™ FOR HORSES) and a good quality grass hay, and nothing else. The problem with formulated products are that they are not absorbed by the animal before they are passed through the digestive process. The Perfect Horse® is already in micronutrient form, is 97% assimilated, and is only grams of food/day. Plus, it is 100% guaranteed up to a years supply. Don’t forget to start feeding slowly (the first week -1 tsp twice/day). 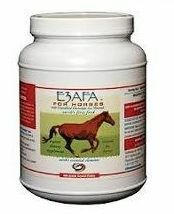 Our 460 gram bottle will last a horse nine months at a maintenance feeding and approx. three months for your loading regiment. When you see the results that you are after you can decrease to the maintenance feeding. *If anyone needs more information on White Line Disease or has any other question contact us. "I'm not surprised that it’s so remarkable for horses!"